Ground orchid, native of Southeastern Asia to the Philippines, is the common species of Orchid which blooms round the year. This easily grown terrestrial herb has pretty, arching broad leaves with prominent parallel veins and a few or large cluster of small flowers at the end of a long stalk as tall as 1 metre arising from a basal leaf axil. The flowers are seen from the more common purple to white, yellow, peach, pink and magenta shades. and The leaves emerge from round pseudo bulbs that become increasingly multiple and larger as the orchid matures. 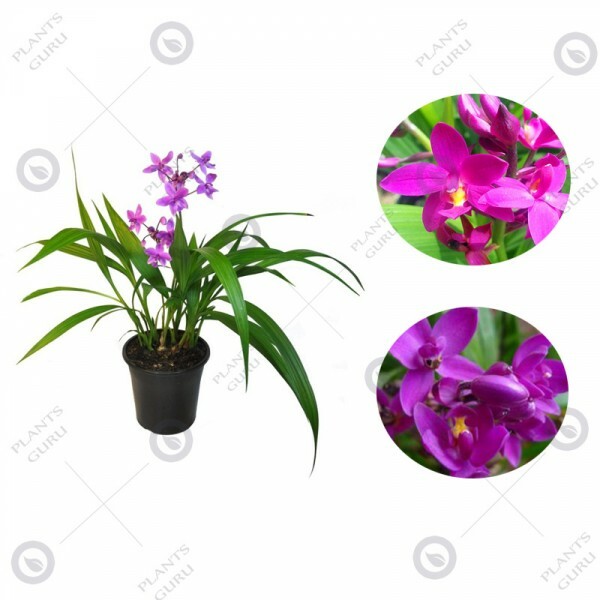 Ground orchids can be grown as potted plants and also do well in beds and borders. Its dainty, butterfly-like flowers, in shades of white, pink, cerise and brandy GOLD, appear at almost any time of the year and continue for up to six months. The golden rule for orchid success is to duplicate the plant's natural conditions as closely as possible. In nature, most orchids are epiphytes, meaning they grow on other objects, clinging to rough bark or even stone. The showy orchids favored by most people are usually either phalaenopsis hybrids (so-called moth orchids) or dendrobium hybrids. 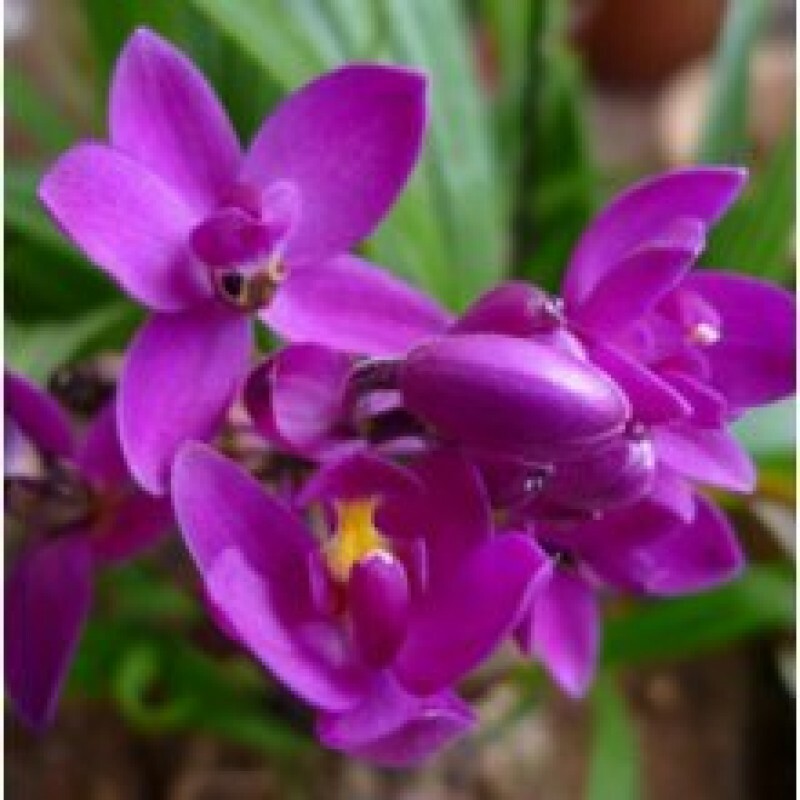 Orchids, like other plants, have a blooming cycle and a quiet period. 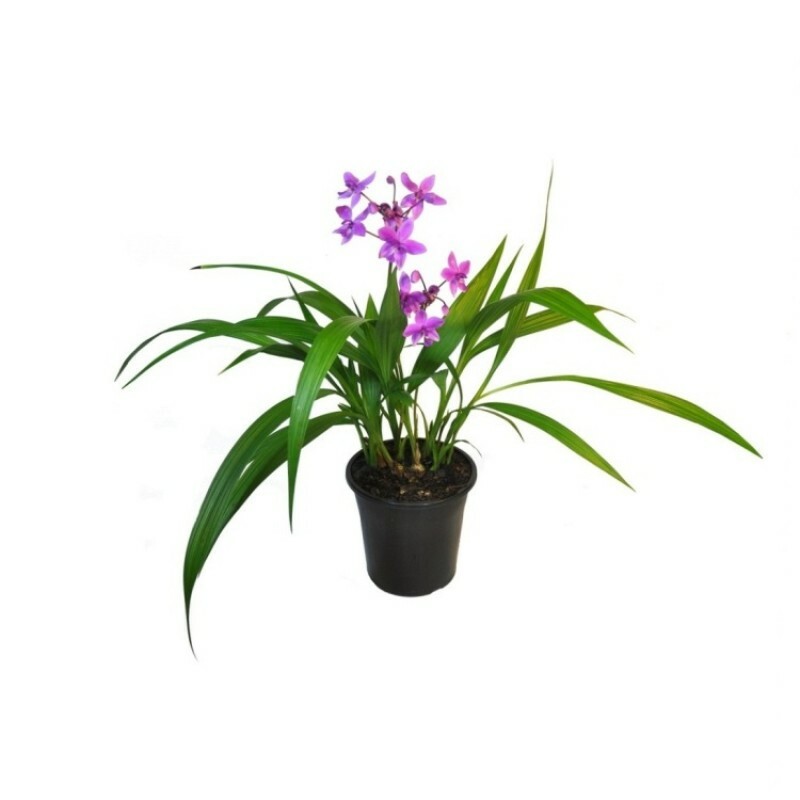 During the quiet period, the orchid grows new leaves and stores up energy for the blooming cycle. When it is ready, it will send up one or more spikes from which new blooms will sprout. For certain plants, the blooms may last up to eight weeks. Here are some good tips to help you nurture your orchids from the quiet period through the blooming cycle. Choose a room that has light for most of the day. Leave plants near an east or north-facing window with a sheer curtain. Never place them near west-facing windows as they can be too hot. Temperatures between 50 degrees Fahrenheit and about 85 degrees Fahrenheit. Use a composted bark-based orchid mix, such as Amgrow Orchid Potting Mix or Yates Orchid Potting Mix, which keeps the roots well drained and moist, but never wet. Moth orchids can also be grown in sphagnum moss. Moth orchids have no water storage organs other than their leaves, so you shouldn’t let them dry out completely. Thoroughly water potting mix, but do let water sit in the crown of the plant as this can lead to fungal problems. Let the water drain before returning to its position and don’t sit the plant in a saucer. In most cases, watering once every seven days is enough. There’s a wide range of fertilisers specifically for orchids. If using liquid types, monthly applications are usually recommended. If using pellets, such as Neutrog Strike Back for Orchids, sprinkle around the plant as needed, but never use pellets on a dry plant. During flowering time, consider using a blossom booster such as Campbell Orchid Special Fertiliser A, which has elevated phosphorus levels to promote flowering. While you can re-pot moth orchids each year, they will happily remain in their pot for up to three to four years. Look for crowding roots or old and dry compost before re-potting. After flowering, remove the plant from its pot and trim off any dead roots. Position in a new pot and fill with fresh orchid potting mix, allowing it to loosely settle around the roots. Moth orchids thrive in humidity. To create a humid environment around the plant, stand the pot in a saucer filled with gravel, then partially fill it with water, ensuring the pot does not touch the water. A daily misting is beneficial, as well. Let the flowers fade naturally. If the stem is green, prune it back to the first flowering node. If the stem is brown, prune it back to near soil level. When the flowers fade, don’t hurry to cut off the spike. Instead, let the flowers die naturally. If the stem is still green, you might be able to get a second flush. Feel along the bare spike and notice the bumps or nodes along this stem. At the base of these nodes are resting flower buds. Go to the next node down from where the first flower opened on the stem, then simply prune the flowering stalk back to just above this node. In most cases, this will stimulate the production of a secondary flower spike.